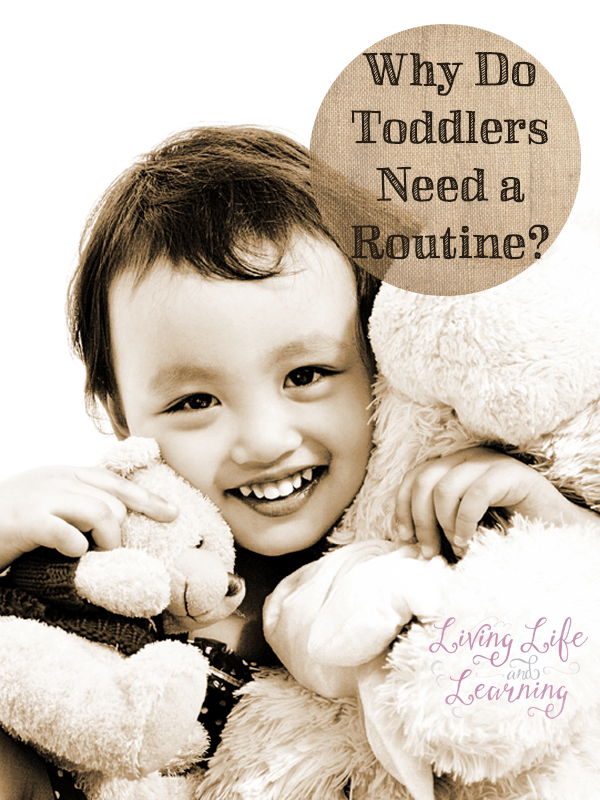 Toddlers are a bundle of energy, they are not too young for you to incorporate a routine into their daily schedules. I don’t mean you have to plan out every thing down to the minute, but you should keep the major events in your toddlers day on a set schedule. If you missed my 5 day series on Teaching Toddlers and Preschoolers, don’t forget to check it out. 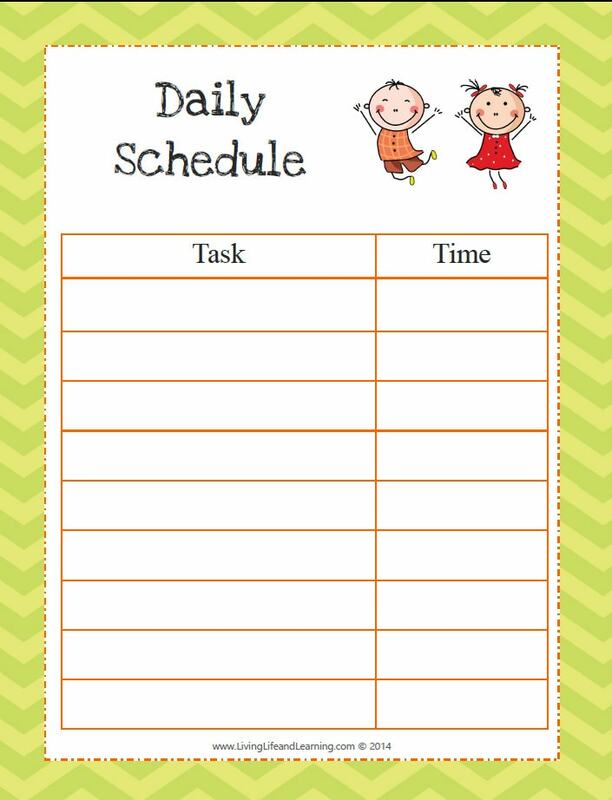 Setting up a routine or schedule for your toddler will let her know what is suppose to happen next in her day. She will get an idea of when to expect her snacks, nap and bedtime. This will make it easier for you to transition from one activity to the next, hopefully without a meltdown. If I get my toddler down for her nap at the scheduled time, she goes willingly and complies with our nap routine. If her nap gets pushed back and then she is over tired, there’s a meltdown coming and she cries herself to sleep. It’s not pleasant, I have to carry her up to her bed crying and screaming that she doesn’t want to go for her nap, when she obviously needs it. I ensure that my toddler gets to bed at the same time every night. This ensures that she will wake up at the same time as well. I like consistency with her schedule because she just seems happier. If we had a late night, they are sluggish the next day which makes it difficult for me to homeschool my older children because she’s extra moody. I don’t plan out everything, it’s not like I can plan when she’s going to need a diaper change or spill milk on her clothes. You need some wiggle room for the unexpected. I do have a set time for our meals and snacks which line up with our school breaks. Hungry toddlers are unhappy toddlers so I don’t want to get to the point where she’s too busy playing that she doesn’t realize that she’s hungry before it results in a meltdown. The boys are usually doing school work during her playtime and nap. This is the basic outline of my toddlers day. Notice that I don’t have any times listed here. I don’t plan based on time because sometimes lunch will take ten minutes and sometimes it will take 20 minutes, I don’t want to keep thinking that I’m behind or try to catch up in my day or feel like we have to rush through stuff when unexpected things come up. We are not morning people in this house so you don’t even want to know what my children’s bedtime are. Meals and snacks are very regular, but it doesn’t mean I will deny her some yogurt if she asks for it outside of those times. I am flexible, some days they will be more hungry while they may not be on other days. It doesn’t mean that the schedule can’t be changed if needed. The schedule is not meant to hold you prisoner to it. The routine gives a rhythm to your child’s day. They know that once they have their lunch it may be time for a nap so they know what to expect and will hopefully easily transition to the next event. Do you have unrealistic expectations of your toddler? You cannot set out a schedule and expect them to follow it all the way from day one. If you’ve decided on an earlier bedtime, you will need to gradually move up their bedtime to let them get accustomed to the new schedule. Does it mean they will be more compliant and easy going? Maybe not but if it will help then why not try it to see if it works for you. When we get out of sync and dinner is late, people not only toddlers are more grumpy, teach them to follow a schedule now and they will be more open to following one when they are older. For fun I created a printable schedule if you need help keeping track of things, I’m a list maker as well. If you have a tot at home or need more ideas or encouragement, you want to take a look at the ebook, Every Parent Can Teach Their Toddler, it’s a colloboration between 20+ bloggers to bring you everything related to Totschool. I pinned your post to the Bloggers Brags Pinterest Board! I think that developing a routine early on is a great idea! Routines for toddlers are so important, and one should start working on a routine from the day your children are born. It took me about 3 months to get my baby into a proper routine, and it kept changing as he grew older. But I’m so glad I stuck at it.